A typical “cleanse” is usually done via the digestive system. But the body has more than one way to rid itself of toxins, and today we’re going to look at an often-overlooked means of cleansing: sweating. According to research, sweat contains as many if not more toxins than blood or urine, and some toxins “prefer” to exit via sweat. You may be wondering how you can work up a good sweat in the wintertime, especially if you are like most people and don’t have access to a sauna on a regular basis. The key is exercise! 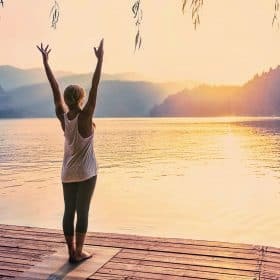 Today we’re going to explore the research and discover how you can participate in this cleansing process through exercise. We’ll start by looking at which toxins are removed by sweating, and we’ll explore the nature of these poisons and why they are so dangerous. Researchers explored the excretion of heavy metals from the body in the form of sweat. In those who had a high exposure to one or more of these toxins, their “sweat generally exceeded plasma or urine concentrations,”1 with mercury levels actually normalizing in exposed individuals. 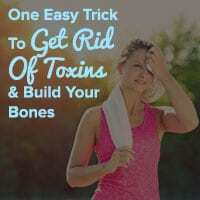 Because exposure is inevitable, it’s likely that you don’t even realize the silent havoc they’re wreaking on your detoxification organs (the liver and kidneys), which in turn can damage your bones. In addition, concentrated forms of arsenic-laced food, such as brown rice syrup, can contain toxic levels of arsenic five times greater than the levels deemed safe by the EPA for drinking water.4 While all types of rice contain some arsenic, organic brown rice has been found to contain the lowest levels. Arsenic can also be absorbed through the skin, but ingestion is the most common method of exposure. This is another heavy metal that occurs naturally in the earth’s crust, but that does not mean it is safe. The problem with mercury is that there are so many avenues of exposure: inhalation, ingestion, and absorption through the skin. Remember the Mad Hatter in Alice In Wonderland? Hat makers had a reputation for insanity, because they were constantly exposed to mercury in their trade. This illustrates the fact that the body system most affected by mercury exposure is the neurological system. Just breathing the vapor can cause hallucinations, delirium, and psychosis. The most common mercury exposure is via contaminated seafood, amalgam dental fillings, and some vaccines. The Flushield by Wyeth-Ayerst is an example of such a vaccine. It contains thimerosal, a derivative of mercury, and almost half its weight is composed of mercury. Most dentists use acrylic fillings now, but the metal used to fill cavities in the past contained mercury. Artists will recognize this metal from the paint color “cadmium red.” Art students who use natural pigments are warned against the toxicity of this color, and for good reason. Its toxicity has been well established, and there is no determined safe level of ingestion. The major means of exposure to cadmium is through conventionally-grown crops, which take up cadmium from soil that has been saturated with phosphorous-based fertilizers, contaminated storm runoff from landfills (which have tons of cadmium-containing batteries), and even sewage sludge. Its use in various industrial practices has decreased over the last several decades, but it is still present in the environment, particularly the soil. Lead is one of the better-known toxic heavy metals. When lead contamination is found in children’s toys or other products, it makes headlines. Like the other metals, lead occurs naturally in the earth, but it is very toxic to humans. It damages the detoxification organs (liver and kidneys), and harms the reproductive and nervous systems.10 In fact, it is harmful to all systems in the body. Children are especially vulnerable to the negative health effects of lead, since their nervous systems (and whole bodies) are still developing. Lead can also be present in the glazes of certain types of ceramic cookware, especially glazed cookware from China or Mexico. So look for bone-safe cookware like stainless steel, cast iron, and enamelware to ensure you’re not getting exposed to lead in your food. Please understand that this information about lead, mercury, cadmium, and arsenic is not intended to instill fear. Rather, it’s about raising awareness to the ubiquitous nature of these poisons and the dangers they pose so you can take appropriate action. Most of us don’t have access to a sauna, one of the most popular sweat-inducing methods. So why not build your bones while working up a good, detoxifying sweat? You can do both with the Densercise™ Epidensity Training System. Drink plenty of pure water before exercising. Water helps detoxify anyway, and drinking before you exercise is like “fueling” your ability to sweat. Drinking before a workout prevents dehydration as well. And of course, drink pure water after your workout as well. Wear “breathable” workout clothes made of fabrics that wick moisture away from the body, such as cotton. You certainly don’t want to hold toxin-rich sweat against your skin! Skip the antiperspirant. You need to allow the area under your arms to sweat, as this is one of the body’s key areas and methods of toxin removal. If you are concerned about odor, go for a bone-smart deodorant instead. And if you shower directly after working out, the sweat under your arms won’t have time to develop an odor. Do your exercises in the warmest room in the house, such as a room with sunny windows. Warm up your workout area if you need to. The Densercise™ Epidensity Training System is an exercise program you can do in the comfort of your own home, specifically designed to build bone density in fracture-prone areas. It also helps cleanse your body, protecting your detoxifying organs. And Densercise™ brings you all the myriad benefits of exercise, such as improved memory, increased energy, improved posture, and better cardiovascular health. Do you have any tips for maximizing sweat while you workout? Please share with the community by leaving a comment below. Go ahead and get sweaty! 2 Levine, RL. “The need for congressional action to finance arsenic reductions in drinking water.” J Environ Health. 2012 Nov.75(4):20-5. 4 Sun, G.X., et al. “Arsenic in cooked rice: effect of chemical, enzymatic and microbial processes on bioaccessibility and speciation in the human gastrointestinal tract.” Environ Pollut. March 2012.162:241-6. DOI: 10.1016/j.envpol.2011.11.021. Epub 2011 Dec 13. 8 Caciari T., et al. “Cadmium blood/urine levels and blood pressure in workers occupationally exposed to urban stressor.” Ann Ig. Sept-Oct. 2012. 24(5):417-28. 10 Flora G., Gupta D., and Tiwari A. “Toxicity of lead: A review with recent updates.” Interdiscip Toxicol. June 2012. 5(2):47-58. DOI: 10.2478/v10102-012-0009-2. 11 Manto M. “Toxic agents causing cerebellar ataxias.” Handb Clin Neurol. 2012.103:201-13. DOI: 10.1016/B978-0-444-51892-7.00012-7. Review. I have stage 4 breast cancer that has metastasized to my bones. Will your book help me. I am on arimidex for hormone therapy which I understand also hurts the bones. So I go once a month for an infusion of zometa to build up my bones. My oncologist also told me to take caltrate d vitamin, otc vitamin. I was reading the ingredients in the caltrate d, it has polyethylene glycol which is also found in antifreeze. Can you recommend a better calcium vitamin with d3. It safe to take. It is made of coral. Please let me know. Here is my story: I took Fosomax 15 years ago. I had to take it first thing in the morning on an empty stomach. After taking it for about a year I stopped because of upset stomach. Now here is what happen: I developed a severe TMJ problem and I couldn’t figure out why. I went to my dentist and from there to an oral surgeon. It got so bad that I couldn’t open my mouth all the way (or just half-way) and this went on for three weeks (misery). All of a sudden though my TMJ got better and stopped completely, yeah! I came real close to having oral surgery…scary thought…I procrastinated (a good thing). For years I didn’t know that Fosomax was the culprit. 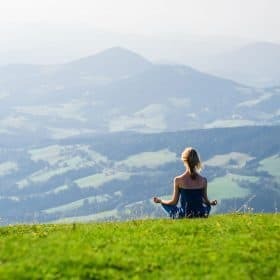 I found an article on the web and read about other people with similar problems. I am mad that this drug is still on the market with all of the other “bone medications”. I felt like seeing a lawyer and suing the company, but I didn’t. How do you beat big Pharma? Anyway, I am just thankful that Fosomax gave me an upset stomach and because of that (unknowingly) my TMJ problem went away. I can’t seem to find if spaghetti squash is alkalize or acidic. Could someone please tell me. I have purchased your blueprint and it is very useful for me to identify the acidic food. I was so surprise to see rice is acidic. I am a vegetarian and rice is staple in indian vegetarian meals. I know the ratio should be 80/20 but i do get hungry very fast when i cut rice. Please advise. Thanks for this informative article. I am more encouraged now to go to the gym and sweat. I too had not heard from you in a while and am glad to be back. Yes, I have on occasion had a horrible metallic taste in my mouth and no idea why that is. I’ve suspected it could be from a drug that I was on at the time (ie) Cipro or some antibiotic – but I don’t think that’s the only time I experienced that. I suppose at the time I might have suspected it was toxins and if I recall the taste lasted several days. I think I’d tell your daughter to write down what she ate the day before and that day and what drugs or anything she did each time she gets it – keep a diary and then she can show it to her doctor. I never did mention it to my doctor as it always went away. Tabatha thank you so much for your response she is miserable with this metallic taste in her mouth she does keep a log on the foods and supplements that she eats every day . When she sleeps she has no metal taste in her mouth but when she wakes up some days she’s at a two and some days it’s a 10as far as tolerance goes . She will be speaking to an all natural doctor tomorrow hopefully she can help please keep her in your prayers and help give us wisdom to figure this out . I hate to see my daughter suffering like this . And thank you Vivian for allowing this to be posted on your site I do appreciate you and all of your knowledge to help me through osteoporosis . I used to have a strong metallic taste in my mouth on and off throughout the day, until I saw a dental hygienist who found the cause was due to infection in my gums. I now clean between my teeth with tiny brushes and see the hygienist every 4 months for a thorough check up and have no more problem. Why can’t some people sweat? I am one of them. I have seen doctors and they don’t now the answer. Hot summers are not good for me. instead of sweating, like I should, my skin turns red and hot and I am miserable. Why is that? Do you have an answer to this? And what I can do about this? Thank you. The inability to sweat is called hypohidrosis, and it can have many causes, such as damage to the skin, sweat glands that aren’t working properly, and autonomic nerve damage. Diabetics are more prone to the autonomic nervous system damage that can cause hypohidrosis. Thank you for your information and advise. You are welcome, Marlene! You are not alone – it is hard to sweat in cold weather! Cotton clothing? I thought the new polyester wicked better. My daughter has a metal taste in her mouth has anyone ever heard of this. Annette, I also have this taste in my mouth sometimes when I wake in the morning. I assume it’s amalgam fillings, which I’d love to get rid of if I could only find a naturopathic dentist in my area. Good question! I recommend distilled water with a few drops of lemon juice as best for bones, but reverse osmosis water is a good second choice. I used to have BMD of 0 until I spent 12 months actively doing sauna. Then my BMD fell to -2.5 in 12 months to my shock. I really hope there will be more research to show sauna and sweating does not cause calcium loss. That is a good point, Pat. It’s important to make sure you replace healthy minerals with a bone-smart diet and supplements after sweating.